It’s fall and winter squash is showing up in the produce section. Pumpkins are also making an appearance. That means it’s time for roasted squash seeds. Chris shared a great recipe for pumpkin pie spice squash soup the other day. The first step is to cook the squash. Wait! Don’t throw those seeds away. You can roast them and make a delicious snack. 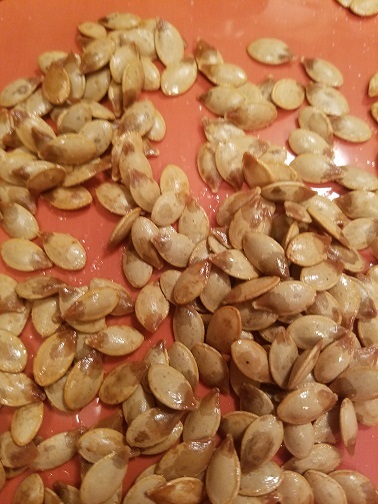 I’m sure you’ve had pumpkin seeds and you may have even roasted your own. But most of the winter squashes have seeds that can be roasted. 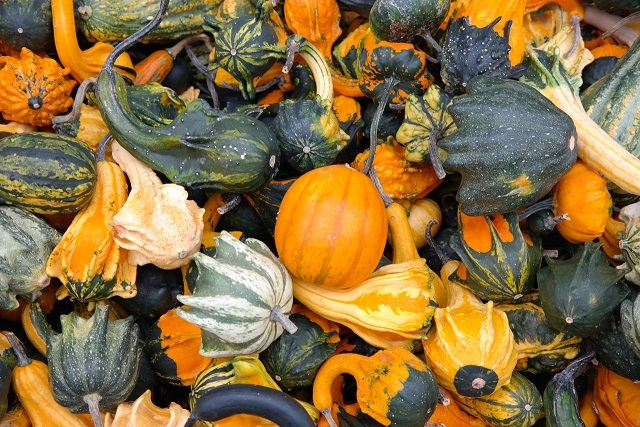 It doesn’t matter if you’re using an acorn, butternut, spaghetti, or carnival squash. I’ve bought squash just because I wanted the seeds to snack on. 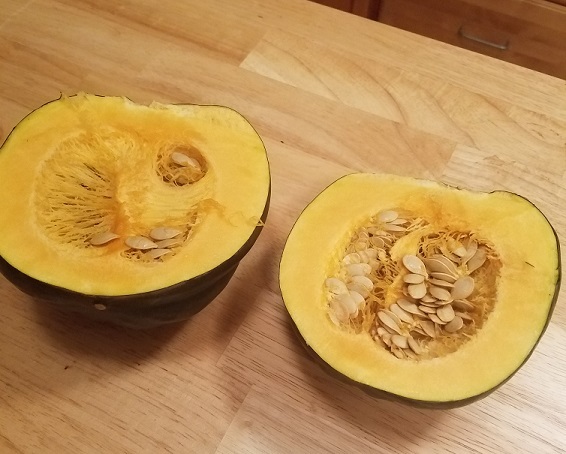 I end up making soup or roasted vegetables with the squash but I really want to scoop out those seeds and roast them. My process of roasting squash seeds is a little convoluted but is worth it. 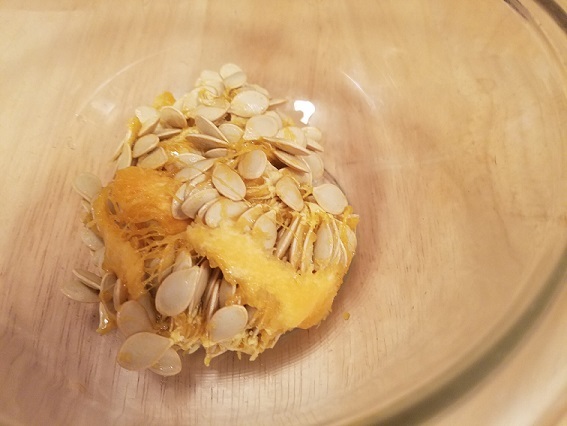 Cut the squash in half and scoop out the seeds and stringy flesh and put into a bowl. Separate the seeds from the flesh. I run water into the bowl, which helps clean the seeds. Get as much of the goopy stuff off that you can. 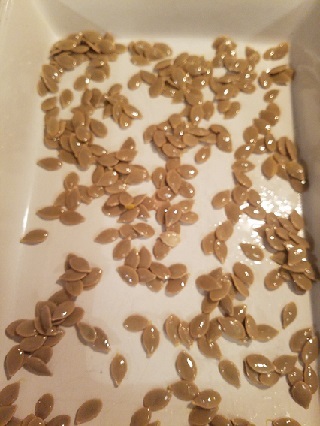 You might want to dump the seeds into a colander and run more water over them to get the last bits of squash off the seeds. 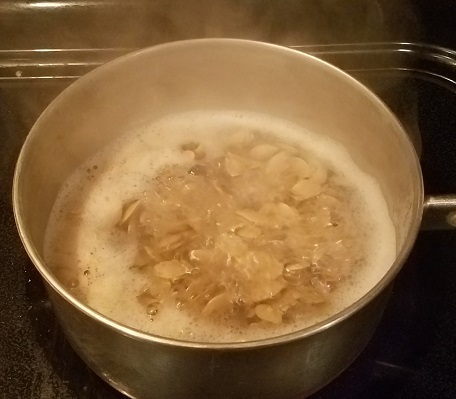 Put the seeds into a small saucepan and fill with water. Bring to a boil and cook for about ten minutes. 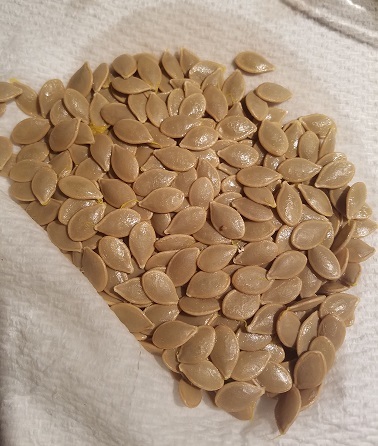 Drain the seeds and then dry them as thoroughly as you can. I often end up wrapping them in a towel to dry them. Be sure to get all of the seeds that stick to the towel. Put the seeds into a bowl and add about a tablespoon of oil. You can use olive oil, melted coconut oil, avocado oil, or whatever you prefer. Salt the seeds and add any spices you like. You can use Try curry or a taco seasoning or go with this pumpkin pie spice to stick with the fall pumpkin theme. Line a baking sheet with foil or parchment paper and spread the seeds out in the pan. Try to spread them out and not have them clumped in the middle. Roast for 10 minutes and then stir and return to the oven. Check the seeds about every five minutes. The seeds are ready when the outsides are crispy and the insides are tender. If you hear the seeds popping, they’re definitely ready to come out. Let the seeds cool and then serve. Store any uneaten seeds in a air tight container. These are good as snacks, toppings for salads, or as a garnishment for your squash soup.